Its no secret that I enjoy baking cakes, in fact when I am feeling stressed I can often be found baking cake very late at night !! A life time ago in another life I baked many cakes for many RAF coffee shops, including this one. Luckily for me now,I know lots of people who like eating my cakes, else I might be a little larger than I am. I don’t like posh fancy cakes but good easy wholesome one’s and the occasional Guinness Cake that i still have to make for the girls at work …. Place weet-a-bix. milk.sugar and fruit in a bowl and leave to soak over night. add egg and flour then mix well. This entry was posted in baking, Food & Recipes on February 11, 2017 by Sally. and then of course there is the cost and time. So theÂ most exciting thing I seem to make is soup as its quick easy and don’t cost a lot to make. 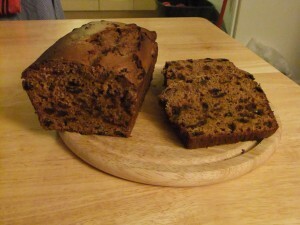 The cake recipe I have tried this year is a simple one,Â BE-RO Christmas CakeÂ . 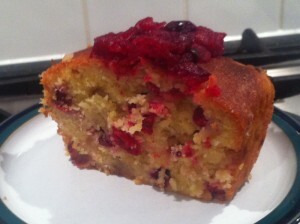 This entry was posted in baking, Personal on December 3, 2013 by Sally. Every now and again I meet up with my friend Â Gina from Norwich it usually means a lot of chatting and some exercise, the last time we met it was for the DaffodilÂ DawdleÂ ChallengeÂ walk in March. Today Gina visited me at home so we could go and run my new favourite 10k route around the Church Ruins at Bawsey. Luckily for us the weather was kind and the wind and rain stayed away. 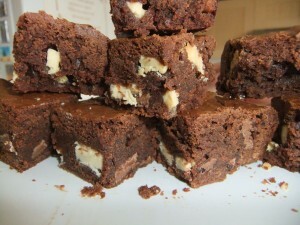 It was a greatÂ opportunityÂ for me to cook lunch for us too, we had Chicken Chilli and Sweetcorn soup and the most amazing chocolate brownies that have not lasted the day 🙁 Â Both recipes came from another friend of mine Yvette, who we visited at Easter. As Gina was unable to join us for our Wherryman’s way walkÂ maybe our next meet up should be to walk the Boudicca way a 36 mile walk from Norwich to Diss. This entry was posted in baking, Running, Runs, walking, Walks on May 18, 2013 by Sally. I am always on the look out for new recipes especially at Christmas time. This time I came across a few great recipes in the Christmas issue of the Tesco magazine, realfood. Which has an ipad app but no iphone app which is a shame as I like to store my recipes on line now but thats where Evernote comes in handy. So last week I found myself Â baking a cranberry,orange and almond fruit loaf, I liked the sound of the recipe as it had marzipan in the ingredients. Certainly a recipe to add to your list for this christmas……. 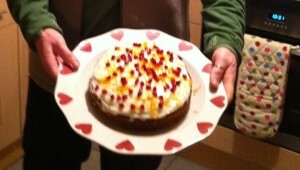 This entry was posted in baking on December 11, 2012 by Sally. with a little bit of help ! 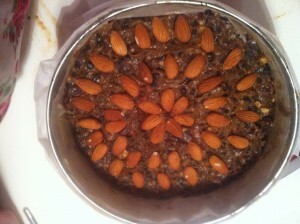 I used the Delia’s classic christmas cake recipe and at the moment the house is smelling devine. I shall leave it to cool in the tin over night then take it back to Kings Lynn with me as Isla is worried thatÂ granddadÂ may eat it !! 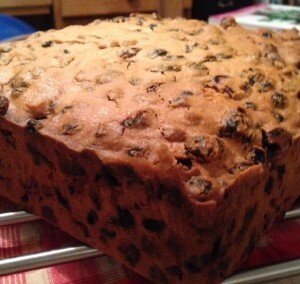 This entry was posted in baking on November 24, 2012 by Sally. 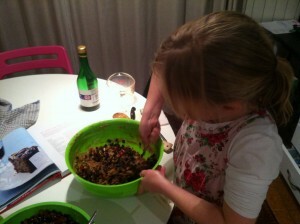 At the weekend I had 2 little helpers to help make our Jubilee cake. 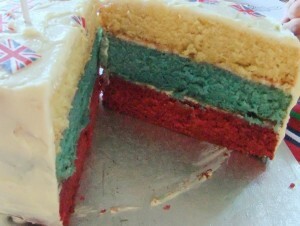 I decided to keep it nice and simple, 3 sponges red white and blue, put together with jam and aÂ Philadelphia cheese and icing sugar topping, like what you use on a carrot cake. But can you spot the mistake I made ???? Luckily this did not stop it from tasting delish ! 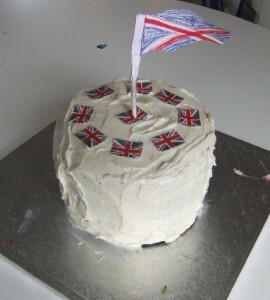 This entry was posted in baking on June 5, 2012 by Sally. After looking after and feeding my Herman Â for 9 days , I let 2 friends adopt some of him , I Â then kept some for a Herman number two and finally I baked my Herman number one. I was worried it may taste yeasty as my kitchen had smelt a bit like a winery while I wasÂ nurturing him ! 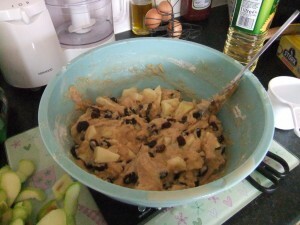 I decided to stick with the basic recipe and added apple ,raisins,Â cinnamon and vanilla essence, along with the eggs sugar flour and oil. I sprinkled the top with brown sugar before baking but not the melted butter as I felt this was not really needed. I would like to keep him goingÂ untilÂ Geoff Â returnsÂ from his long walk as I am sure he would love it and will needÂ fatteningÂ up ! 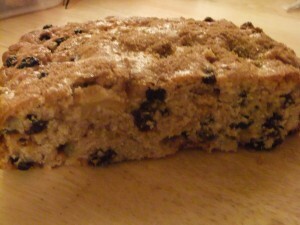 This entry was posted in baking on May 10, 2012 by Sally. ObviouslyÂ I offered to make a cake, it was suggested that I make my trademark muffins but I wanted to make something a little more special, so the search for a recipe began ! Then I remembered about a cake recipe that I had seen on a blog,that would be just perfect, but could I remember which blog…..no ! so the big search began and finally thanks to Geoff and google history I found the cake I wanted. These friends came for dinner at my house last weekend so it was a perfectÂ opportunity to try the recipe out, it was a huge hit, not only did it look beautiful but it tastedÂ deliciousÂ too. 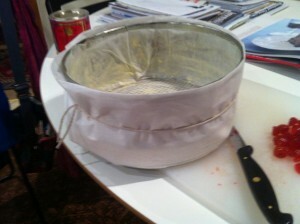 This entry was posted in baking and tagged baking, cake, fitbit on March 1, 2012 by Sally.